Okay, let’s get something clear from the start here; I have been a fan of Gotthard for as long as I can remember. I was devastated when Steve Lee was killed in a motorcycle accident and assumed that another of my fave bands was no more (Lee died on a motorcycle tour of the United States in October 2010. In the freak accident, a truck lost control on a wet motorway and drove into a group of parked motorcycles, one of which hit the singer who had stopped to put on rain gear). Then I heard that the band intended to carry on with a new singer and whilst surprised I have looked forward to this release ever since. 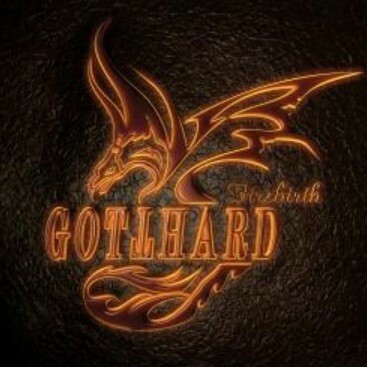 So with new boy Nic Maeder installed on not only vox but guitar and keyboards too, Gotthard are back with Firebirth. All the usual elements are present mid paced rockers assorted ballads and a decent preview track (Remember It’s Me). So why then can’t I find anything to like in this album? Maede has a raspy and oddly familiar sounding voice, not as melodic or soulful as Steve Lee and I think this may be the first problem. Whilst I’m not an advocate of hiring sound-alikes (look at the increasingly ridiculous YES situation) it is apparent that the late Mr Lee’s voice was so much a part of what made this band great that perhaps this is too much of a departure? But if the songs were truly great then perhaps the vocal situation would be easier to overcome, and this is where the real issue lies I’m afraid. Even after repeated (forced) plays there just isn’t anything here that stands up to past glories. ‘Starlight’ starts the album quite promisingly with an almost Aerosmith like intro but then gives way to a plodding rhythm. The chorus is okay but there is something missing here. Even ignoring the nonsense lyrics, Starlight just doesn’t grab you like an opening track should. It’s not until we get to ‘Remember My Name’, the first ballad, that there is anything worthy of mention but again this is fairly pedestrian compared to past glories. It’s strange listening to next track ‘Fight’ because I actually found myself wondering who this band was and had to remind myself that this was Gotthard! Ballad number 2, ‘Tell Me’, starts off well enough but again fails to ignite despite being well arranged and played. This is actually one of the most frustrating reviews I have ever done as there is no obvious discernable reason that I dislike this album except that the songs don’t have any real passion or soul in them. Gotthard have always reached out and grabbed this listener in the past and rewarded repeated plays but that is just not the case with ‘Firebirth’ I’m afraid. A friend who was visiting assumed I was playing some obscure 80s ‘hair’ band and I guess I can see what she meant, so maybe the problem is that this album is a little dated in both its feel and execution. So not a great collection of songs I’m afraid and not the return I had hoped for. There is nothing actually bad about the album but for whatever the reason it just doesn’t grab me at all. Perhaps track 8 sums it up best for me…The Story’s Over! Couldn't disagree any more with this review. Great album!!!! i can only say that i've heard only 2 songs from the new album and they sounded great. 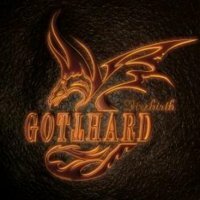 i'm also a great fan off gotthard and i hope that the rest of the album is as good as these two songs! It's not a bad album, but it's not that great either. I was honestly hoping to hate this cd as I was a big fan of Steve's and thus I think a part of me wanted this new album to fail based solely on the fact that they kept going without him. But if I put my bias aside, this cd actually isn't all that bad. Some great tunes on this cd! At the very least, it's worth a listen.....if you can put any bias you have (like I do) aside. This review is so far off the mark. Best impartial review I have read is at www.metaloverlord.co.uk. No prejudice there.